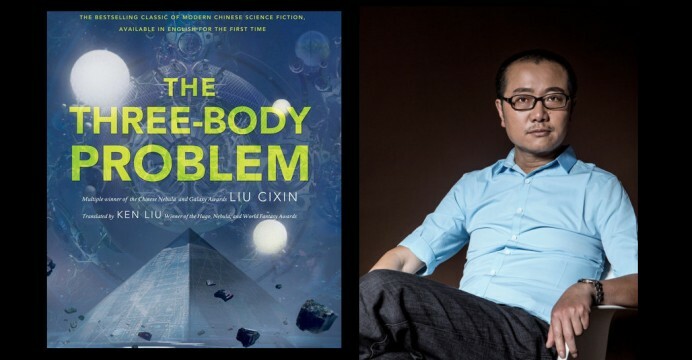 China’s Hugo-nominated sf author Cixin Liu will be interviewed by John Scalzi at a program at New York’s China Institute on May 27. A reception and book signing follows. Registration for “An Evening with Cixin Liu: Hosted by John Scalzi” costs $10 for members, $15 for non-members, and $5 for the reception only. The event takes place 6-8:30 p.m. at The China Institute (125 E 65th St, New York, NY 10065). This entry was posted in Like Show Business and tagged John Scalzi, Liu Cixin, SFF in Translation by Mike Glyer. Bookmark the permalink. For those in the Midwest who can’t make the New York event, Mr. Liu will also be at the Nebula Awards and the Mass Autographing at Chicago’s Palmer House Hotel on June 5 from 8:00-9:30.